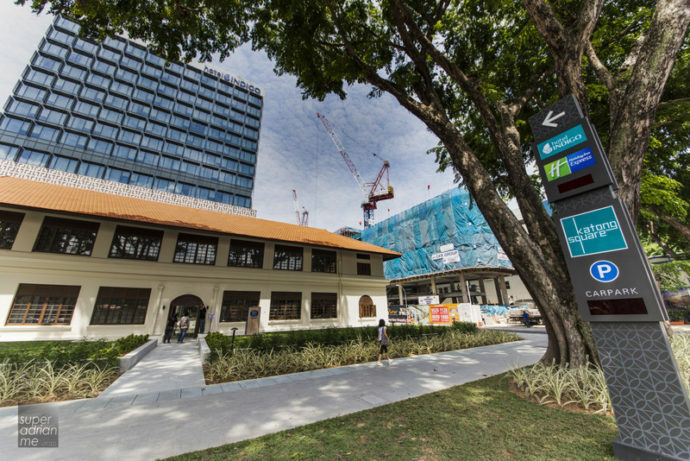 Hotel Indigo Singapore Katong officially opened its doors on 30 June 2016 at the former Joo Chiat Police Station. 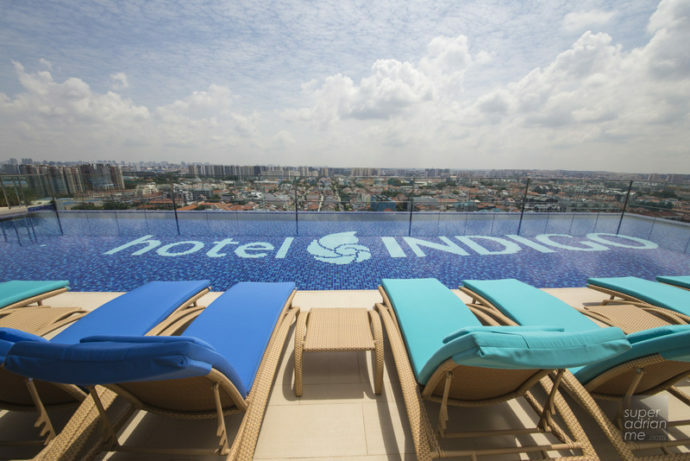 Intercontinental Hotel Group’s debut of Hotel Indigo in Singapore and the second in South East Asia is combined with Holiday Inn Express which is also above the Katong Mall. Both hotels are located just next to I12 Katong Mall where you can dine, shop or catch a movies. 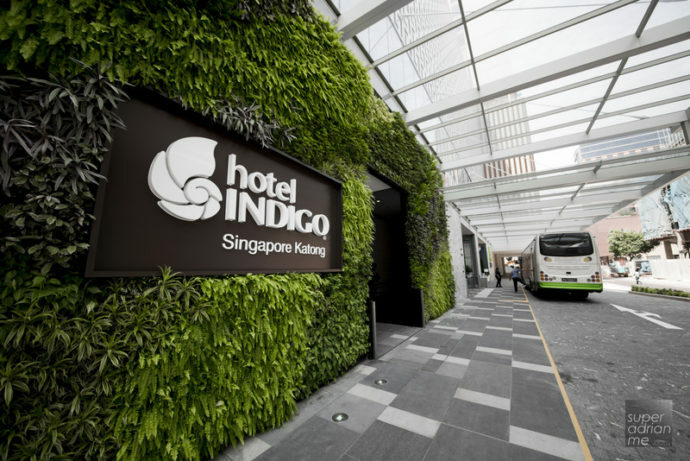 firmeco-id decked out the hotel while Ong & Ong was responsible for the architecture of Hotel Indigo Singapore Katong. The Facade of Hotel Indigo Singapore Katong from East Coast Road. 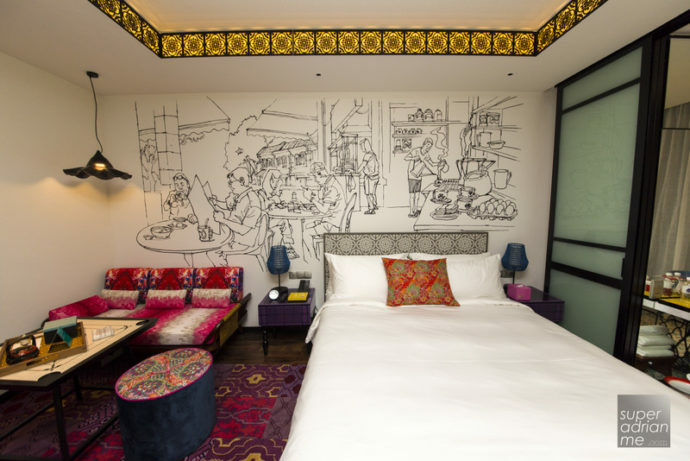 The first time I experienced the Hotel Indigo brand was in Wireless Road, Bangkok when it opened last year. And I enjoyed the immersion of the neighbourhood surrounding Hotel Indigo Bangkok Wireless Road. It was there that I was also introduced to Panpuri Thai brand of bath and scents. Rooms there were brightly lit, uncomplicated, had a mix of carpet and wooden flooring and a large bathroom with bath tub and separate showers. The room had hints of bright colours yet it was not gaudy. Seminyak, Bali will be the next location of a new Hotel Indigo in November this year. The Hotel Indigo Bali Seminyak Beach will be located 30 minutes by car from the Ngurah Rai International Airport. The hotel features 289 rooms, suites and pool villas, seven dining outlets,ZAVA day spa and pools. 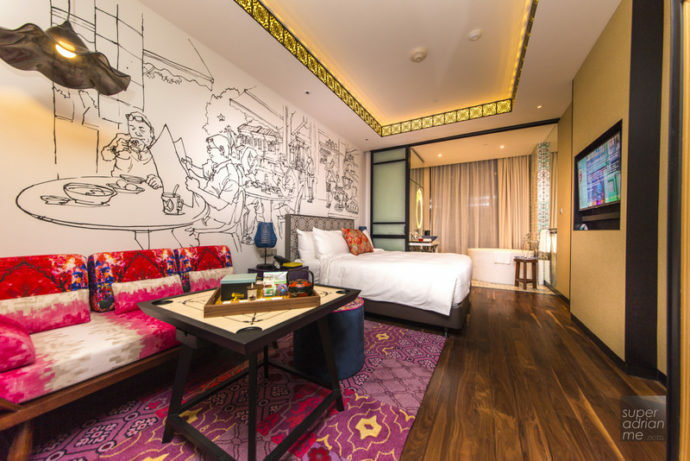 Over the next few years nine more hotels will open under the brand in South East Asia including Hotel Indigo Bali Seminyak. 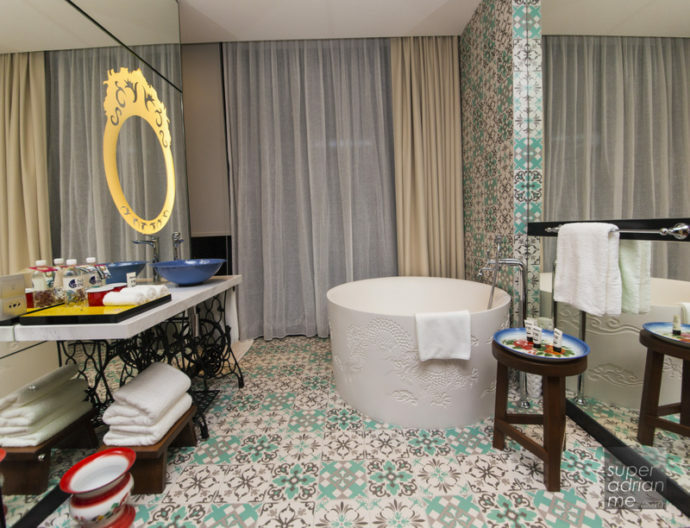 No two Hotel Indigo properties in the world are alike because each reflects its immediate neighbourhood through its design, food and beverage, amenities and services. 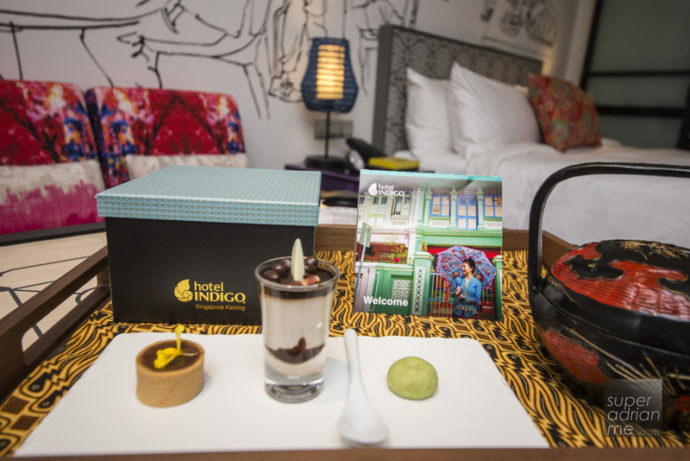 However, Hotel Indigo Singapore Katong offers the same comfortable homely feel with a vibrant modern colour palette complemented by natural light and locally influenced design and decor that is synonymous with all Hotel Indigo properties around the world. 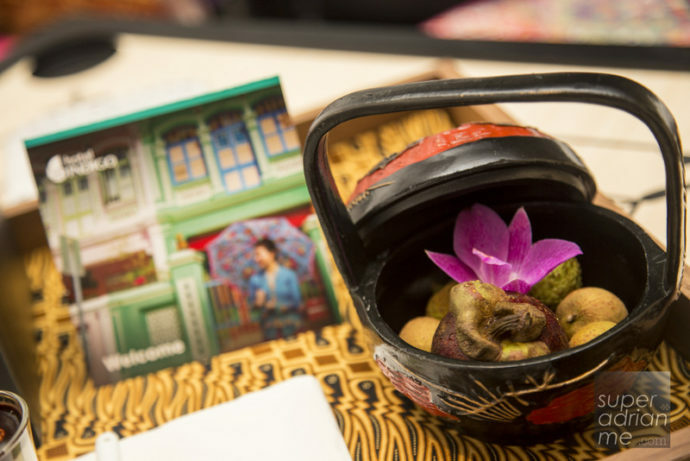 True to its heritage neighbourhood, you will find elements of the Peranakan culture throughout. 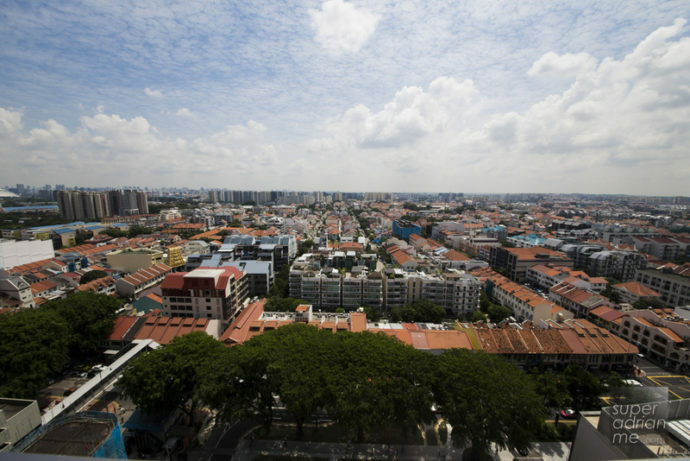 Joo Chiat is Singapore’s first designated Heritage Town. 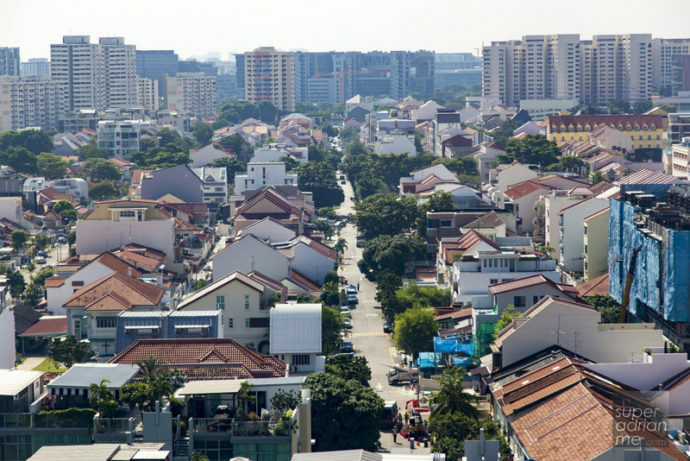 The two-storey shophouses that line the streets of Joo Chiat have been around since 1920s. There are lots to discover within the neighbourhood. The food scene is rich and you have to try Katong Laksa, Bak Kut Teh, Nonya Chang (dumplings) and other locale delights. 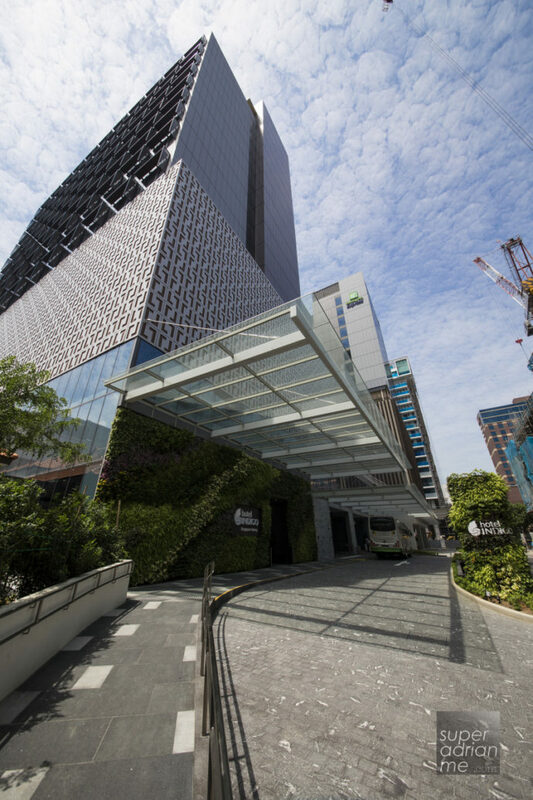 The 16-storey BCA Green Mark Platinum Status building houses 131 rooms from level seven to 15, a meeting room on level seven, a rooftop pool and fitness centre on level 16 as well as Baba Chews Bar and Eatery and check in counter on level one. 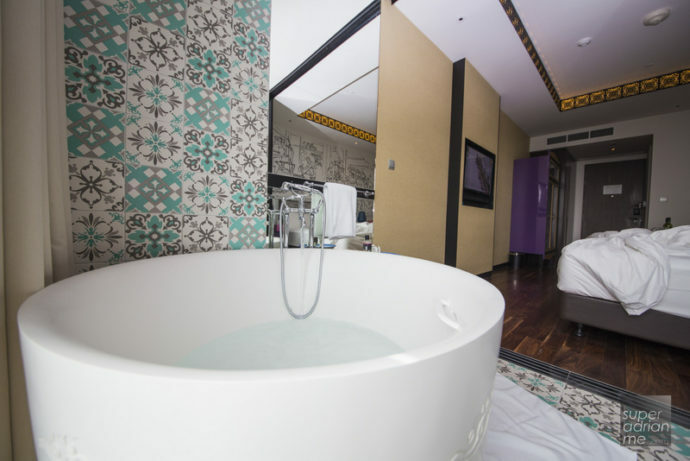 The hotel offers 131 x 30 sqm Deluxe or Premier Rooms with one or two King bed options for the Deluxe Room. 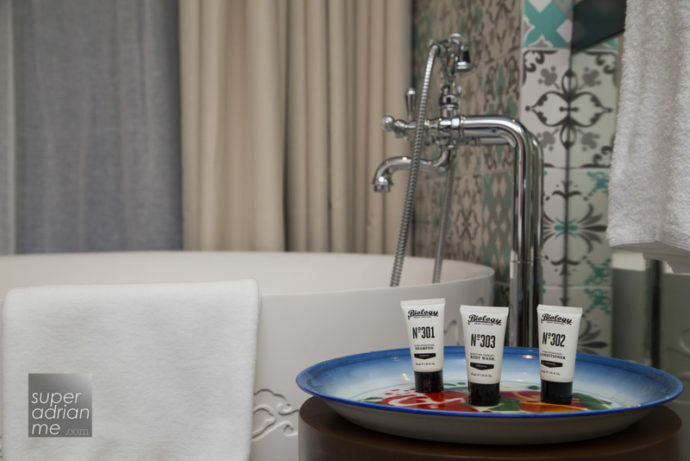 Premium Rooms come with bathtub, Nespresso machines and larger 50ml toiletries instead of 30ml found in the Deluxe rooms. Level 14 and 15 are all Premier rooms. The rooms here are deep and somewhat narrow but still spacious reflecting the typical Peranakan shop houses. The absence of a desk in the room also gives it a more casual relaxing atmosphere which is perfect for staycations or a relaxing holiday. Wi-fi is provided so you can remain connected. Electrical points catered to electronics from any part of the world are placed at each side of the bed while a USB charging port is also available. Step into room 1221, a corner Premier room on level 12 and you step into a room where you are welcomed by the toilet on the left and cupboards on the right. A few steps later and the sofa area and bed is visible. The wall behind the bed has a hand drawn mural of the life in the area. A small carpet sits below the sofa chair, carrom table and stool as well as the bed while the rest of the bedroom is wood based. 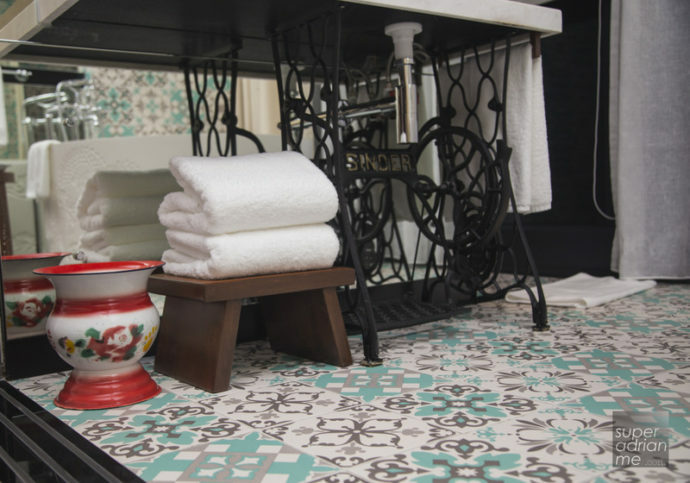 The bathroom is separated by coloured floor and wall tiles with motifs that resonates with a typical Peranakan home. Play a game of Carrom in your room. The carrom board table replaces your typical table in the room. Play a game of carrom and relive the good old days. In fact I was delighted to rediscover this game during my stay. It has been a long while! Small touches such as the welcome fruit basket with local fruits and a hand-written note to welcome me were thoughtful. 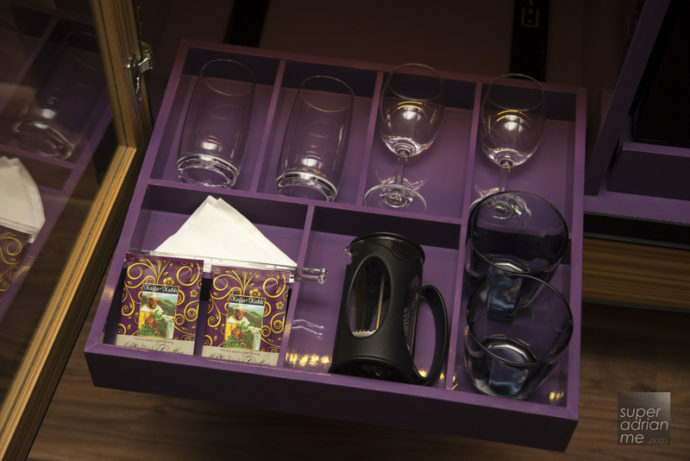 And the choice of Nespresso coffee, TWG teas or even Kaffa Kaldi plunger coffee offers convenience that pampers any guest. 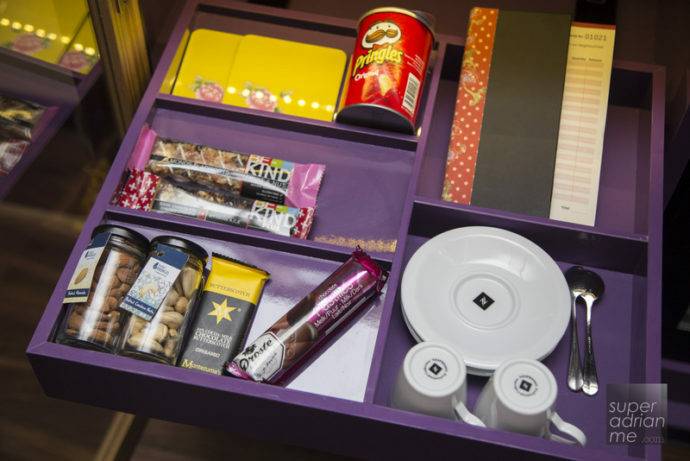 The mini bar is well stocked up but if you prefer, you can also buy your own snacks and drinks or wine from the supermarket in I12 Katong mall. 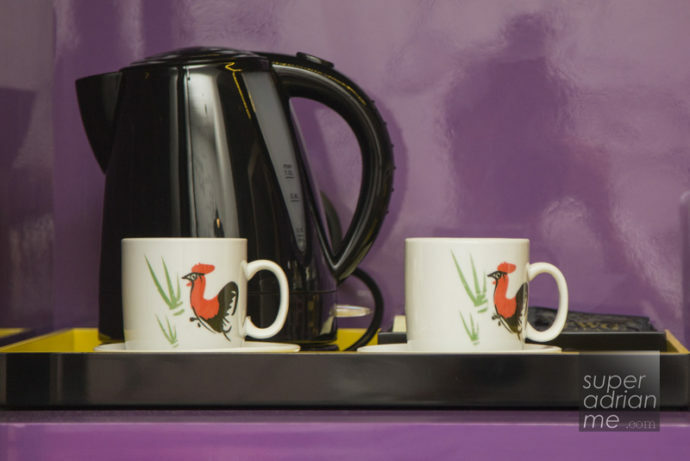 Traditional coffee and tea cups with the cockerel commonly found in coffee shops in Singapore are also provided to add on to the locale experience. Espresso cups by Nespresso are also provided for your espresso portions of coffee dispensed by the Nespresso machine. The bath and wash basin area is spacious. The washbasin seats on an old Singer sewing machine base. A spittoon that acts as a bin under it was once used for kids to sit and pee into it or for adults to spit into. Bath towels are placed on a wooden stool that were commonly used by women when washing clothes in the past. Enamel cups replace glasses usually provided in most hotels for rinsing and holding your toothbrush and toothpaste. 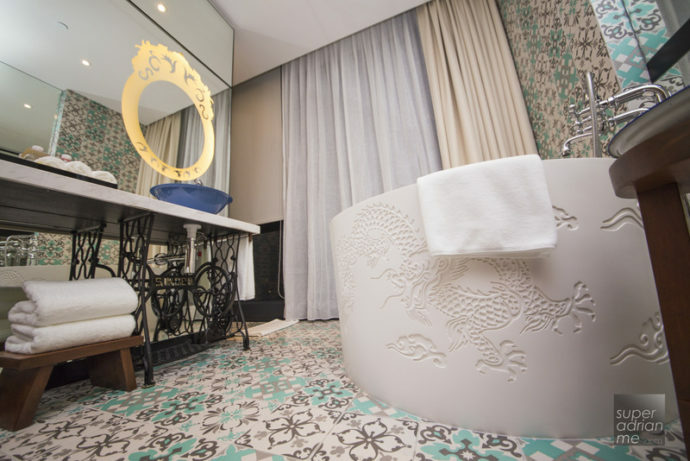 And if you look closer at the sides of the white round bath tub, you will notice that there are intricate engravings of a dragon. A tall stool next to the bath tub is where Biology bath products are placed on a traditional enamel plate that are commonly found in homes. Open the curtains and you get a fabulous view of the residential around. A thoughtful sign has been pasted on the glass to remind guests that the view is two-ways. A separate shower is hidden behind the mirror. 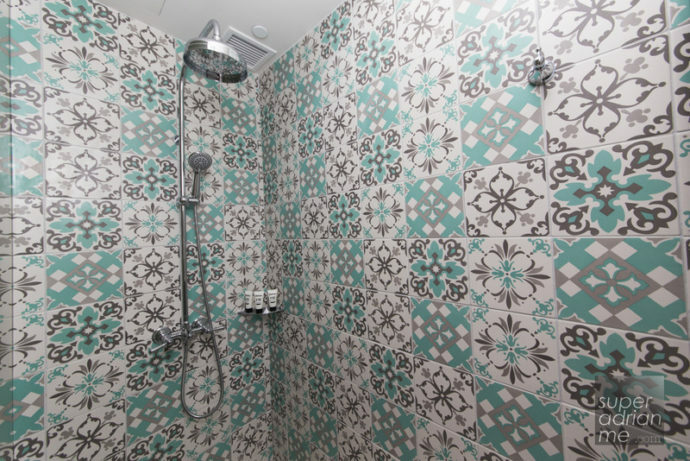 More of the motif-design tiles fill the wall and flooring. A rain shower as well as a handheld shower head is available but be cautious where you are standing when turning on the water. We have all jumped and perhaps at times squealed when freezing cold water jets onto us unsuspectingly when turning the tap on. 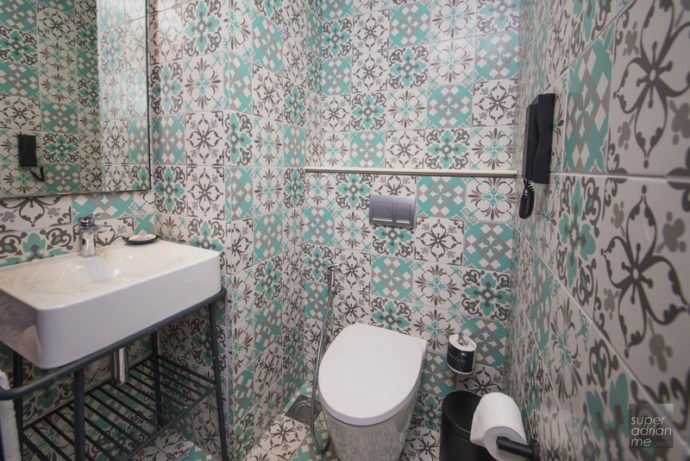 What’s missing in here is a stool to sit while showering. 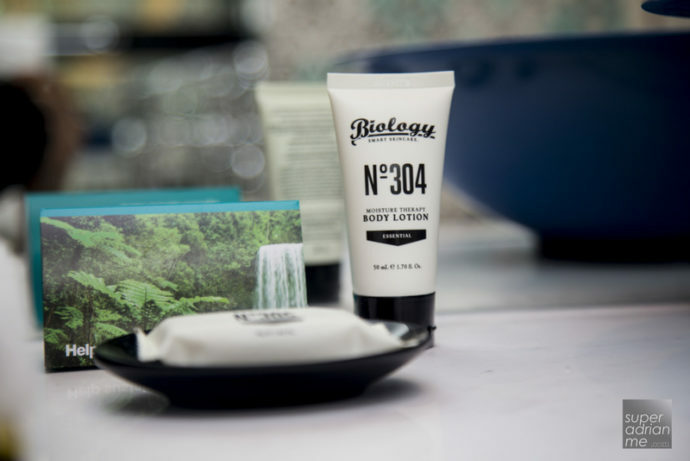 Biology, an Australian botanical extracts aromatherapeutic range of hair and skin care products are supplied in all the rooms here. They are free from parabens, mineral oil, sulphate detergents and other ingredients that are bad for you. 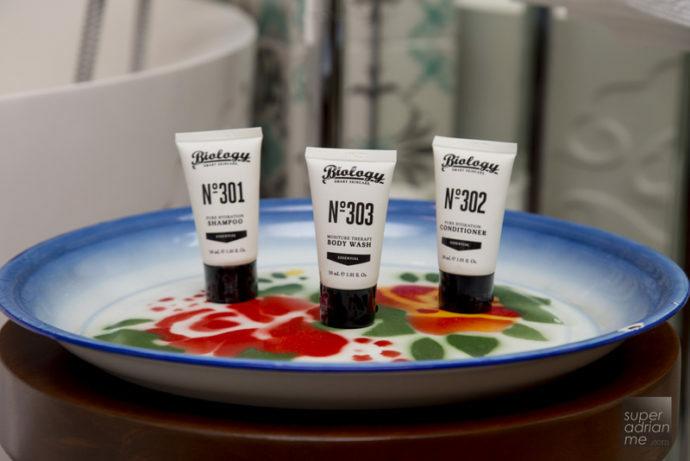 We understand that Hotel Indigo Singapore Katong is the first to offer this brand to its guests here in Singapore. 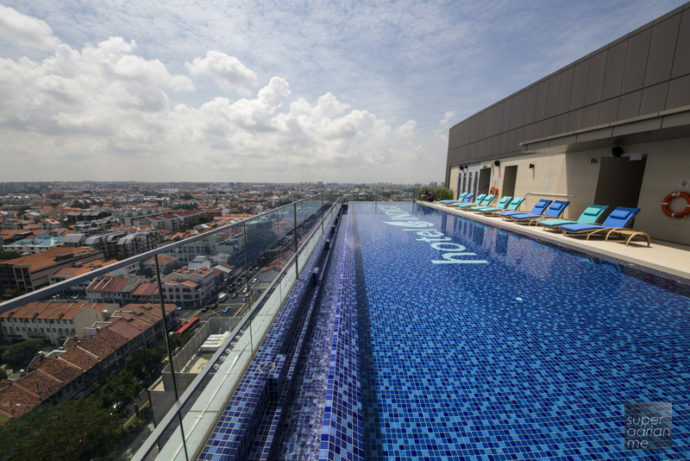 The rooftop infinity pool on level 16 is most impressive. You should not miss out on the amazing views. Come up to tan in the evenings and enjoy the sunset. With Singapore’s hot weather, I am sure this will be a popular spot in the hotel. The fitness centre is also located on this level. Overall, it is a very warm fuzzy experience staying at this new hotel. You get to appreciate the decor and atmosphere as well as what the neighbourhood has to offer. While checking out on Saturday afternoon, many Singaporean families and couples were also seen checking in. Looks like it will be a new staycation venue for many. Tourists visiting Singapore – here’s a tip. 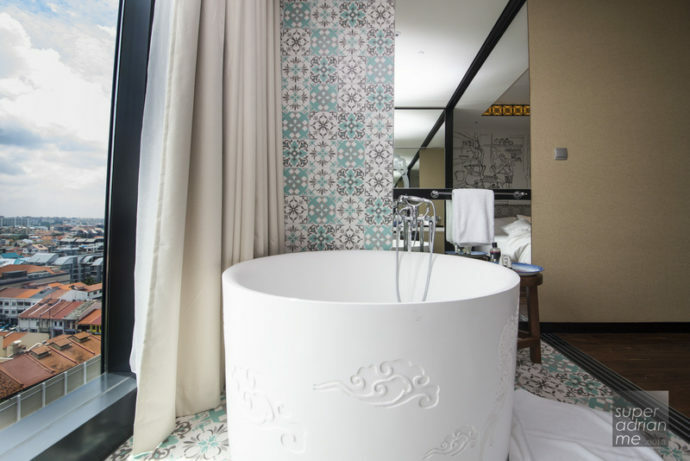 Pamper yourself and book the higher floors so you can get a better view of the neighbourhood from your room. Otherwise take the lift up to the roof top pool area and enjoy the view from there. The fire works from this year’s National Day parade in Singapore can also be viewed from the hotel. 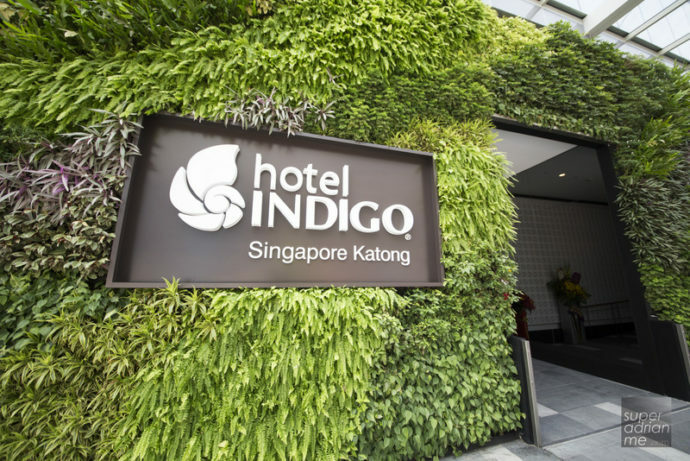 Hotel Indigo Singapore Katong is located at 86 East Coast Road, Singapore 428788. 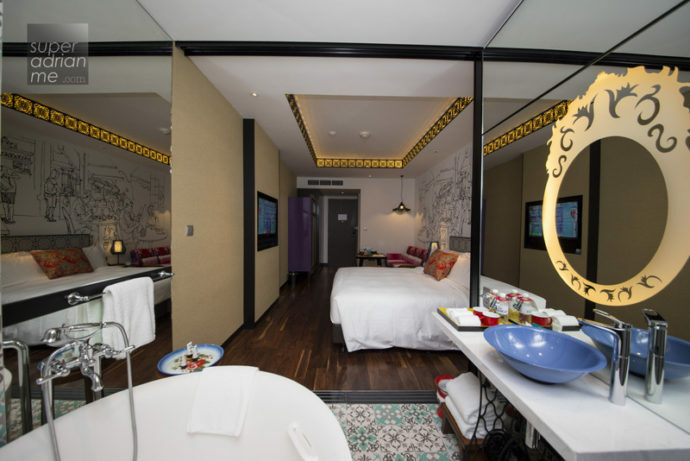 For reservations visit Hotel Indigo Singapore Katong. There is a special opening rate of S$171++ per night for bookings from 30 June till 30 September 2016.